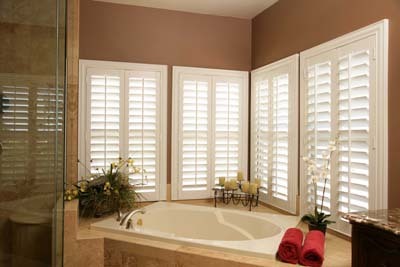 Custom Polywood Shutters have an elegant appearance and are built solid. Polywood Shutters add style and value to your home. They come in three colors; white, snow, off white and in three different louver sizes – 2.5”, 3.5” and 4.5”. 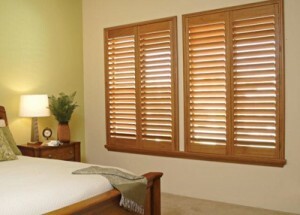 Polywood shutters come with a lifetime warranty and the best part is they are made and assembled in the USA. Polywood is made from a solid polymer material with the best finish in the industry, a baked on paint that looks better and will last forever. They will not yellow, warp, crack, spilt or peel. Polywood Shutters withstand heat, reduce noise, and insulate 70% better than wood, moisture and fire resistant as well as termite proof. They are easy to clean and virtually maintenance free. 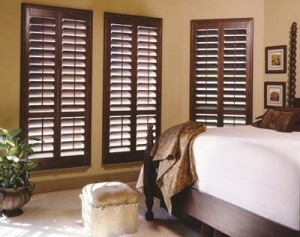 Woods Shutters are a beautiful addition to any home. They are constructed from sustainable woods like Basswood. 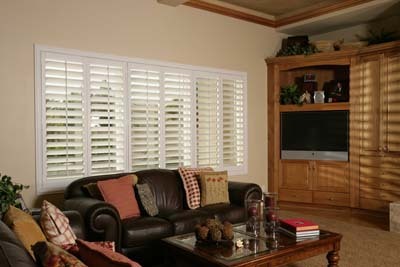 Wood Shutters will add value and beauty to your home. They come in a variety of louver sizes as well as stains and paints. We can even provide custom stains and paints on some styles that can match your room color or window trim. Twinlight shades are a beautiful and new innovative product. 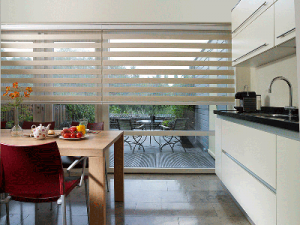 They combine the beauty of a roller and sheer shade with the function of a horizontal blind. Twinlight comes in a variety of beautiful colors and fabrics. Privacy, light filtering, beauty, this shade does it all. Cellular shades provide superior insulation and noise reduction at an affordable cost. 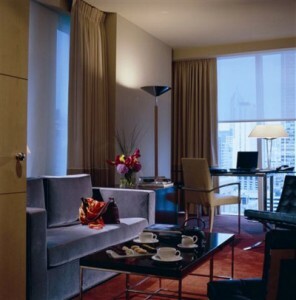 They add beauty to your windows with an impressive variety of designs & colors, fabric color and pleat options. 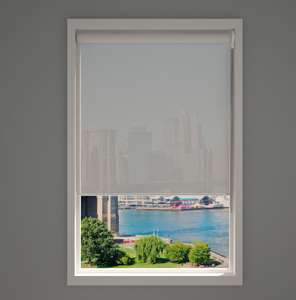 Cellular shades also come with a wide selection of operating options from motorized to cordless. Wood blinds provide a timeless look with the warmth and beauty of finely crafted wood. Various options include different valance designs and appearances as well as decorative cloth tape to provide accent color or coordinate with your room décor. 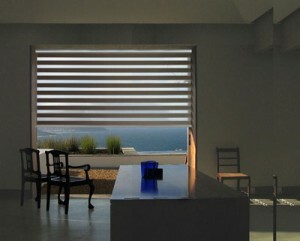 Wood blinds are available in a wide range of stains and paints. 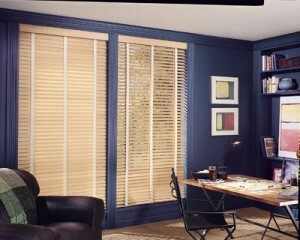 Classic look of real wood blinds at an economical price. Faux wood blinds not only add to the beauty of your room, they are moisture resistant, easy to clean and are very durable. 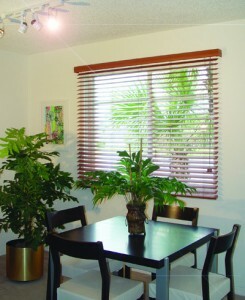 Faux wood blinds come in a wide selection of colors and decorative options. 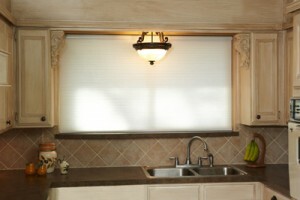 Roller shades provide style and functionality. 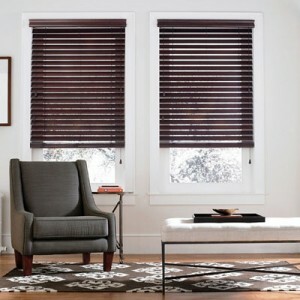 Roller shades come in a wide variety of fabrics from sheer to blackout and everything in between. They also come with a wide range of operating options from the classic pull shade to cordless. Roller shades are simple yet beautiful. 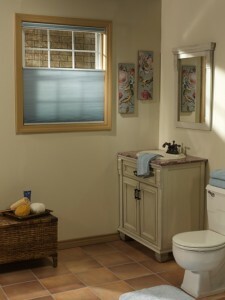 Fredericksburg Shutters and Blinds is a full service window treatment company. 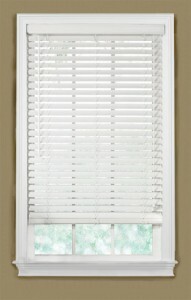 We carry every window treatment product from mini-blinds to Shutters.